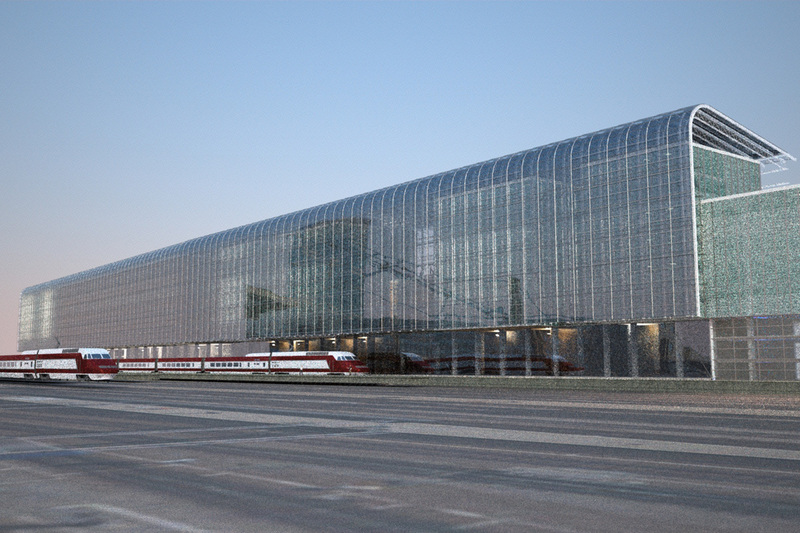 The developed study for the site on Avenue Fonsny analysed the feasibility of converting three emblematic buildings on the Brussels-Midi site. 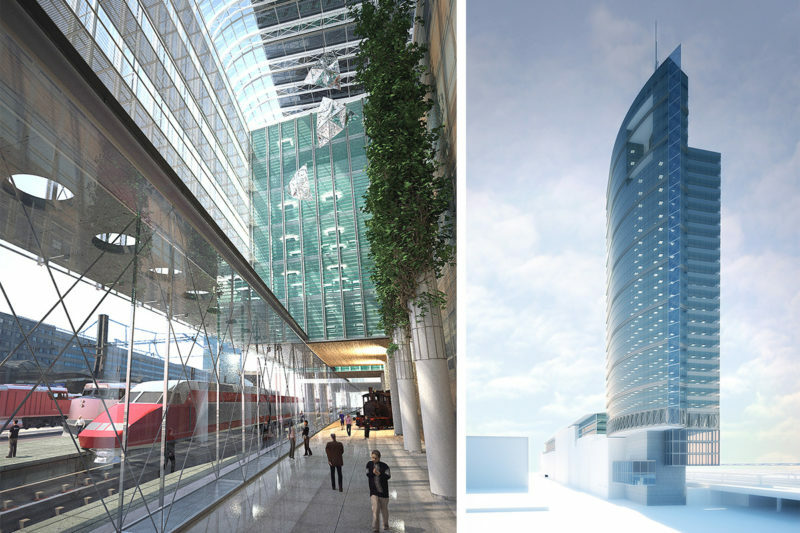 Their typical “period” architecture presented functional shortcomings which the developed project has sought to rectify: integration of the three entities into a real-estate complex responding to the SNCB programme, and a bold expression of the company’s image both within the city and in relation to its users/customers. 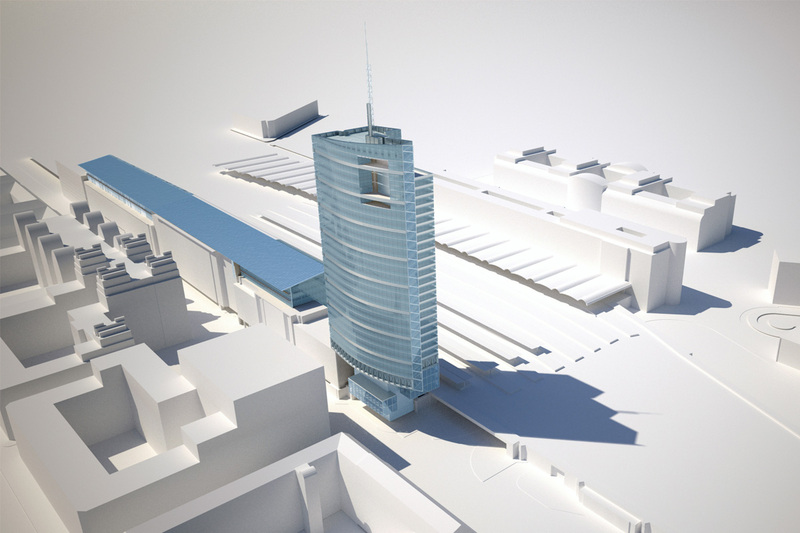 The high-rise tower is designed to bring together the objectives of a sustainable approach: economic, in terms of the conversion of the site and its structures; social, by maintaining the company’s headquarters on its historic site in the heart of the city; and environmental, courtesy of solutions devised for the integration of the three buildings via the new track-facing frontage and the interior thoroughfare generated by it.